Who says beauty doesn't last? Whoever said it has never owned a LanaiScape: an oasis of tropical beauty that never needs watering. Never drops petals. Never gets ratty. By "elephant," I mean the gorgeous outdoor permanent botanicals. And by that, you probably know I mean artificial flowers. Fake plants. Fake plants get a bad rap. But so did fake tans. And fake eyelashes. And now, everyone from Kim Kardashian to Beyonce is batting her big, beautiful lustrous lash extensions. And getting to post #wokeuplikethis. 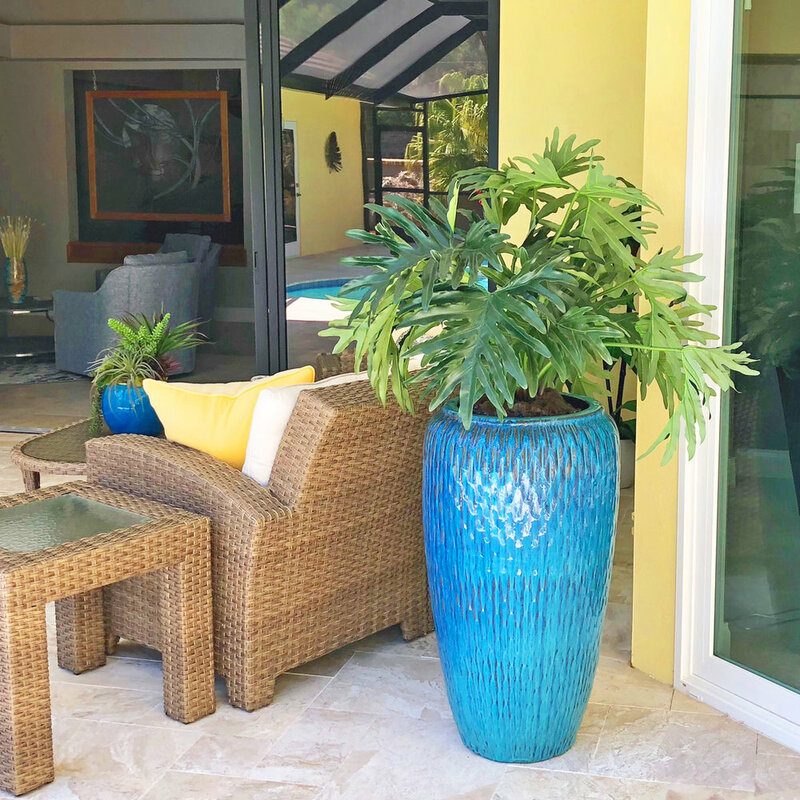 The artificial outdoor plants I use, and the way I design them, means your lanai/terrace/courtyard can look incredible day in, day out, and claim #wokeuplikethis, too. No watering. No cleanup. No sad wilting or browning. No swatting away bugs. No dead plants. No guilt. They'll just assume they are. And that you have a high-priced gardener or a whole lotta time on your hands. Nope. Just a landscape designer who knows her stuff. I've looked far and wide for the best of the best. One reason people wrinkle their noses when they hear "artificial plants" is that there's soooo much terrible product out there. The truth is, the best, most real-looking OUTDOOR permanent botanicals are very hard to find. They're available only to the trade. But even then, it's not just about the flowers. It's about knowing what to do with them. I started this company to keep my dog alive. Long story short: as much as this New England girl loves playing in the dirt, in Florida it's all about the north-comes-south lifestyle. A much shorter to-do list. Outdoor dining. Tennis. Golf. Happy Hour. You don't want extra work. You want everyone and everything to behave. You're here 'cause you can eat outdoors every single day in that uniquely Florida cubby called a lanai. Make. It. Yours. 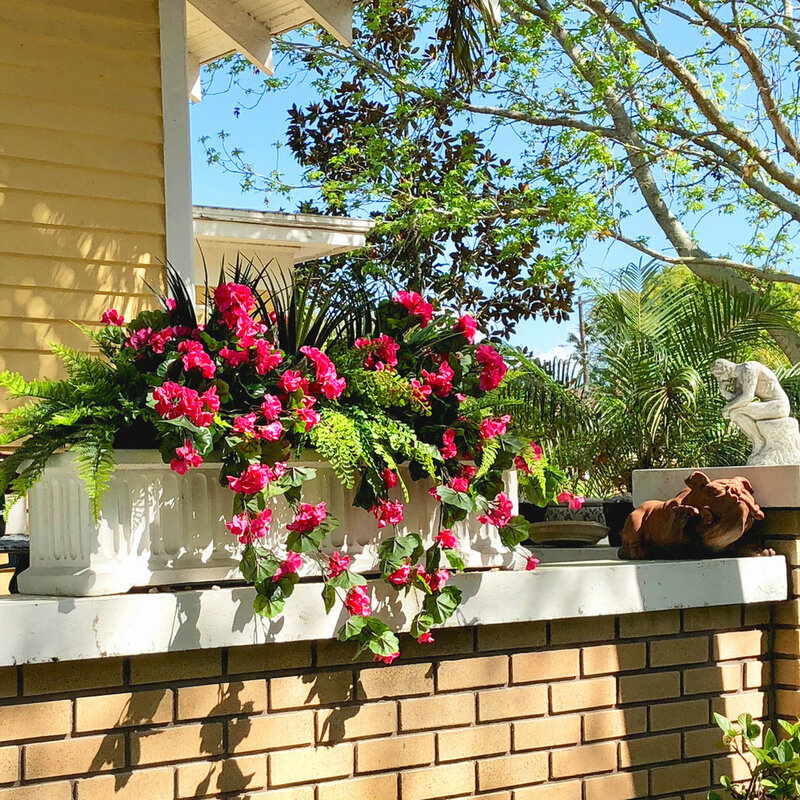 I take my 25 years of professional landscape experience and "plant" a container as if it were real plants. A designer's eye + amazingly realistic outdoor artificial plants = no one would think otherwise. Fake, done well, is unreal. 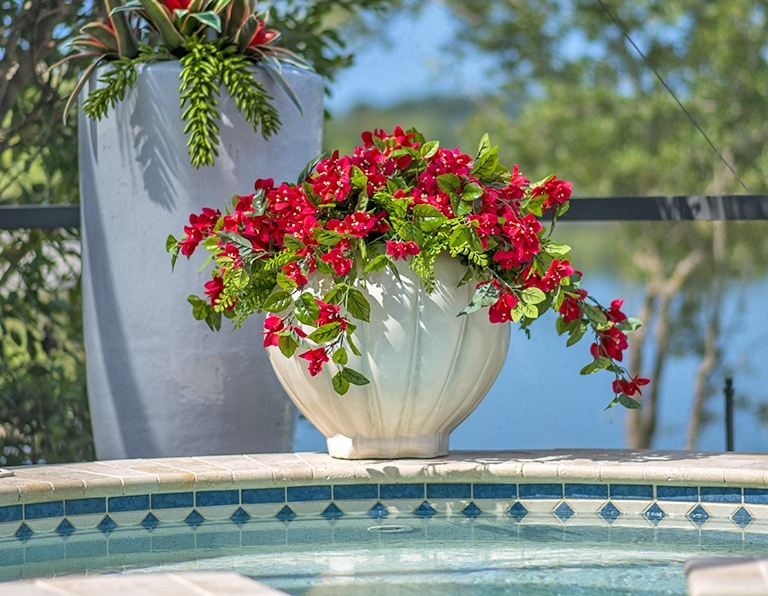 LanaiScapes | Container plantings that stay beautiful and neat.